I just found out yesterday that my casa in mexico was destroyed by Hurricane John…so sad after all the work that I’ve put into it over the past couple of years….but…that’s the price of living in paradise, I guess. I will drive down next month and try to rebuild. The entire town in which I live down there was flattened and the residents are now digging out. There is still no water, electricity, food or gas. Recovery will take awhile. Meanwhile, another Labor Day has passed and the farm is “officially” closed for the season. We will continue to staff it through this month, however, and visitors are still welcome. Jose will start winterizing the plants and water system soon. 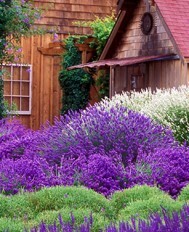 All the lavender needs to be pruned extensively in the off season to insure a vigorous, dense plant the following spring. Jose prunes all 40,000 lavender plants with a weedeater. One really should see him at work; he is truly an artist. 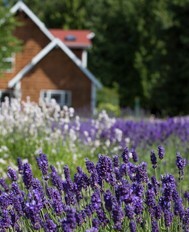 We are filtering this years lavender oil daily and will be shipping it all over the world soon. 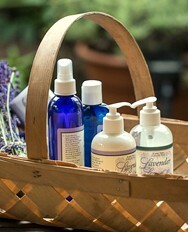 Staff is making formal dried lavender bundles daily and shipping it out also. It’s a VERY labor intensive job.